I don’t remember seeing the display. It’s possible I blocked it out—there’s no way I would’ve been able to push my way to the front of the line for a chance to play. The big kids ruled the demo units. And by big kids I don’t mean the well-dressed, well-mannered couple in the ad. The image is from James Vaughan, who has some of the coolest sets on Flickr, including one called Retro Tech. The year is a guess, and the exact location is unknown. I’m going with 1980 because that’s when Intellivision (carts in the glass cabinet on the left) was released nationwide. 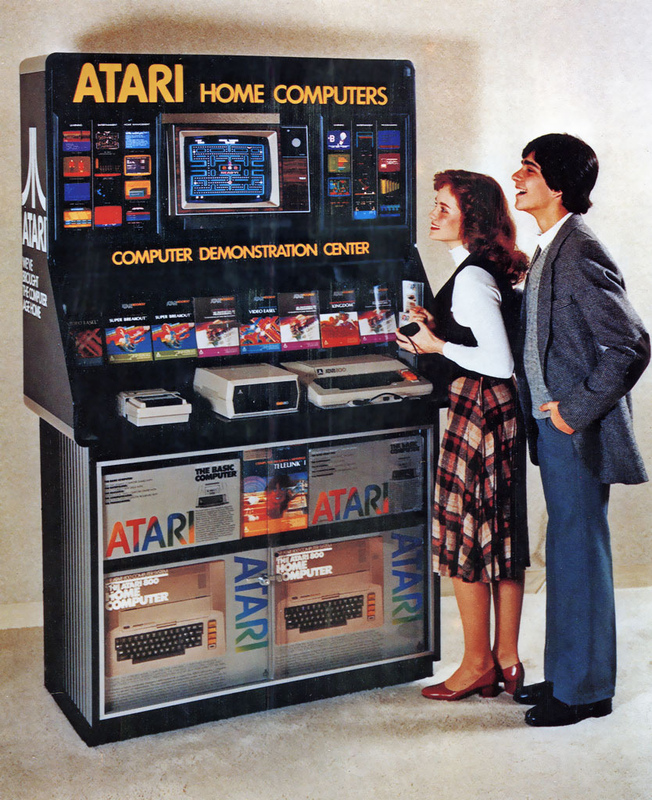 The Atari 400 and 800 came out in November of ’79, and the Odyssey² came out in ’78. 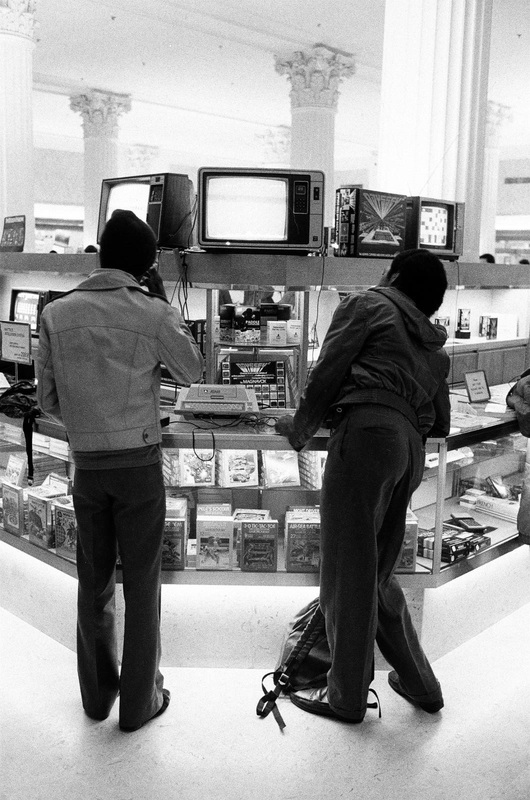 The original Magnavox Odyssey hit shelves in 1972. The ping-pong game that came with it inspired Pong. I can’t tell what’s playing on the 400, but somebody’s playing Space Invaders on the screen to the far left. It doesn’t look like any of the Atari versions, so maybe my year is off after all. It could be Intellivision’s Space Armada (1981), but there’s more space between the aliens in that game. UPDATE: The year is at least 1981. Lefty Limbo spotted the Asteroids 2600 cart (1981) on the top row of the front glass cabinet. Title updated accordingly.